Standing in 200 acres of parkland overlooking historic Parramatta, Old Government House is Australia’s oldest surviving public building. 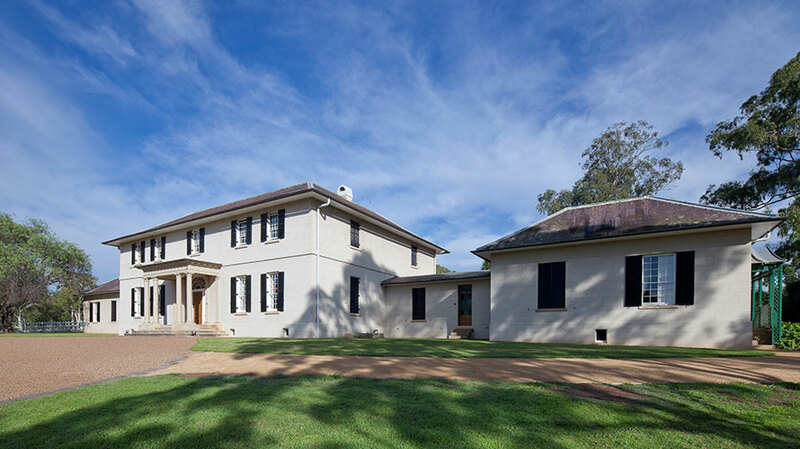 For seven decades, it was the ‘country’ residence of 10 early governors of the colony, including Governor and Mrs Macquarie who, from 1810 to 1821 preferred the clean air and space of rural Parramatta to the unsanitary and crime ridden streets of Sydney Town. The central block of the house was completed in 1799 by Governor John Hunter, however the appearance of the house today owes most to Governor and Mrs Macquarie. Their 1815 extensions, designed by Macquarie’s Aide, Lieutenant John Watts transformed the house into an elegant Palladian style residence. Visitors to the property today can step straight into the fashions of 1821, with Anglo and Indian influences and strong emphasis on colour, through a meticulously researched ‘soft furnishings’ program. This has transformed main rooms of the house to recreate the tastes and styles of Mrs Macquarie, influenced as they were by distance and a climate very different to ‘home’. 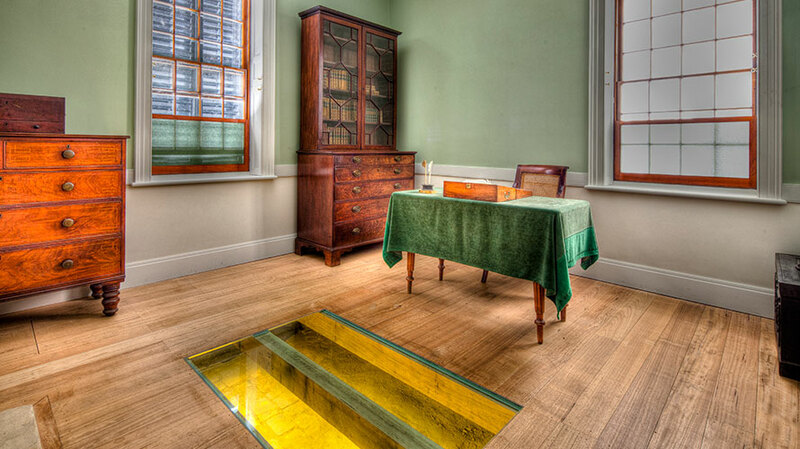 Rooms are furnished with pieces from the National Trust’s collection of early colonial furniture; the largest collection in Australia. Old Government House was built on Darug land, home to the Burramatta tribe. There is evidence of their occupation on the site; the firestick management of land and trees which still bear the scars of stripped bark. In Old Government House, you can see how shells from Aboriginal middens were used to strengthen household mortar. Old Government House and Domain(Parramatta Park) is one of 11 historic places that together for the Australia Convict Sites World Heritage property. The Australia Convicts Sites tell the story of the largest forced migration the world has ever seen, and the development of punishment and reform of criminals during the Age of Enlightenment and the modern era. Our part of this story is the command and control of the convict system as well of the reforms introduced by Macquarie and other governors.